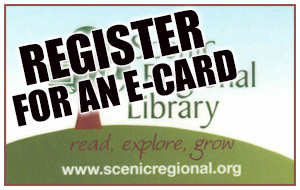 Register for a library e-card online. E-cards can be used to access e-books, e-audiobooks, and other digital resources without visiting the library. To upgrade the account so that it can be used to check out materials, you just need to present a photo ID at a branch. The Scenic Regional Library Foundation is a 501(c)3 non-profit organization and serves as a parent organization for the library’s Friends of the Library groups. 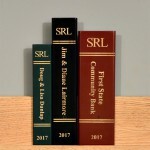 The Foundation is selling donor wall “books”, which will be placed in the entrance hallway of each new branch library. Click here for more information. OverDrive provides library users with eBooks and eAudiobooks for download to a computer or variety of mobile devices, including MP3 players, iPods, iPads, Nooks, Kindles, and Smartphones. Apps are available for Android and iOS devices, including Overdrive’s new “one-step checkout” app called Libby. The library’s digital titles can also be searched through its online catalog. rb digital provides simultaneous access to more than 5,000 adult e-audiobooks titles and 1,500 children and young adult e-audiobook titles. As a result, patrons will never have to place a request and wait for a title to be available. 50 new titles are added to the OneClickDigital collection each quarter. cloudLibrary provides a digital collection with over 7,100 eBooks and 3,400 eAudiobooks. cloudLibrary offers a browsing feature which allows users to create your own custom library and powerful search filters which allow users to only view available titles and browse by category. The platform is not compatible with MP3 players or Kindle Paperwhites. Like us on Facebook to see what’s happening at your library! Check out what's new at the library!